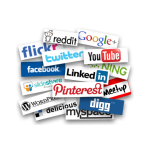 The use of social media encompasses a broad range of online media types. While some might only think of a social network like Facebook, there are actually several social media formats that contain significant marketing potential for online business. What you should not do is always to link back to your business website. Those who visit any social media site see through posts that are overtly geared toward marketing. In many cases social media consumers view this as spam even if the social network owners do not. In the end, you can lose credibility if you don’t work as a meaningful contributor in a social media environment. Social media can be presented in many different forms. Let’s take a peek at a few of them. These videos can be funny, serious, off the cuff and sometimes political in nature. You can show your business in a humorous light and allow individuals to be curious about you and your business. This form of social media is popular because it draws together multiple elements of social marketing and makes them accessible to the masses of individuals that may view social networking as an online version of reality television. This is a form of social media if only because it allows interactive exchanges between the blogger and the reader. This can allow you to have an individual voice willing to discuss topics of interest to the majority. As with all social media, you can provide a link to your site. If you are viewed as a trusted source you will likely find forum members following you to your site to learn more. This is an audio stream that can allow a visitor to hear a personal message from you. This can have a pronounced impact in social marketing. This isn’t an exhaustive list, but it does provide something for you to consider as an addition to other marketing strategies you may have in place. Social media allows you to take your message to the people and have fun while you share your message. I can’t stress enough how important it is to be real. The entire Internet community has a low tolerance for supposed spam so make sure you don’t use social media as simply another form of online advertising. Thank you for posting this free of charge! This advice is incredibly helpful.